Likes and Dislikes for the 2017 Formula 1 Season. So my part of the world is snow covered and frozen. I have not done anything interesting or fun in a car and that leaves me with little to write about. I doubt an article on E-brake rips would be worth doing so I will write about a sport near and dear to my heart. A sport with little to no traction in the USA, Formula One. Out of the two decades I have been watching and attending F1 races, 2016 has to be, hands down, the best season I have watched. While I won’t sit here and tell you 2017 will be better, I think it will be interesting. Marcus Ericsson takes a few laps in the Sauber-Ferrari C 36 at Circuit de Barcelona-Catalunya during this week's press day. 1) These cars will be more difficult to drive. With fatter tires and stronger aerodynamics, lap times will drop by a fair margin. I’m not going to hop on the 5-6 second per lap train, but there will be a noticeable difference. With the higher speed comes more difficulties. Drivers have posted photos and video of the training they are doing to cope with the higher loads on various social media outlets. My favorite so far was seeing lead wheel weights covering a helmet. 2)The rate at which the wider tires lose their grip under load will be much quicker. With the 2016 tire, imagine a line that curves at a somewhat normal rate, that line represents the grip of the tire. Then imagine that line curving down and then suddenly dropping off. Now, imagine you are throwing a car around on a track with skinny tires. If you have experienced that, you’ll know that when you ask too much from a small contact patch you’ll slide. Most of the time it’s predictable and at low speed. Now imagine you have a tire with a much larger surface contacting the road (the contact patch). When you begin to ask too much from such a large area you’ll have two things happen. A) You’ll try to write a check your tires can’t cash like the smaller tire. B) It will be much harder to correct a slide or whatever situation you are in at a higher speed. This is going to leave the drivers working much harder than last season. I think it will show the true talent of the grid. 3) We have no official numbers, but I’m sure we are close, if not already past, the 1000 horsepower mark. I have nothing else to add to that other than that I’m excited. 4) While F1’s resident curmudgeon Bernie Ecclestone made F1 into something great, he is gone and there is new leadership at the helm of Formula One. What makes me even happier is that Ross Brawn is in the wheelhouse as well. I’m doubtful of any substantial changes this year (i.e. the way prize money is paid out. No Ferrari shouldn’t get money for showing up.) or even until the end of the current Concorde Agreement in 2020, but F1 needs a shake up to remain healthy. 5) Large regulation changes usually create a few surprises. While I wouldn’t be surprised if Mercedes runs away again, I think Red Bull will make it difficult for them. 6) On top of regulation changes, key member of certain teams have left. Paddy Lowe from Mercedes to Williams, James Allison from Ferrari to Mercedes for example. To the casual fan, it doesn’t matter but do a little researcher into the disarray at McLaren after Mr. Lowe left. 7) Engine development tokens are gone! This means if you go past your allotment of developments for your engine and hybrid system you are no longer given penalties. I’m crossing my fingers that the Honda-powered McLarens can finally do something this year. 2017 tires on the 2016 Mercedes. 1) The aero regulations. It’s going to be the same old same old this year. Someone will approach a car and will never make a pass because they are in dirty air while the car in front enjoys clean smooth air flowing through the intricate front wing. It happened time and time again last year. They should have dumbed down the aero at the front this time around. 2) DRS (or the Drag Reduction System) needs to go. While it has added to the number of over takes, it’s a gimmick and I don’t believe this sport should have gimmicks. 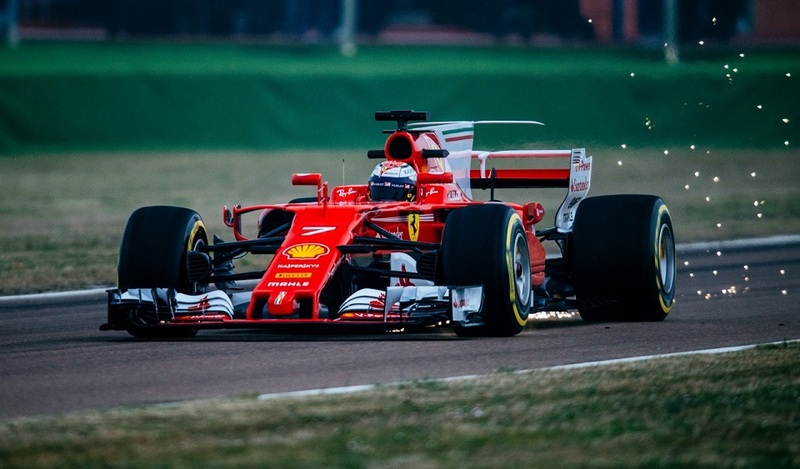 The Ferrari SF70H hit Ferrari's test track, Fiorano, this week for a few laps after it's unveiling. Kimi Räikkönen posted a 57-second lap in cold and damp conditions. Around two seconds off the record set by Michael Schumacher in 2004. 3) I do not care if someone is Senna reincarnate; if they’re new to the sport I am not excited about them. Everyone makes a big deal out of a couple of new drivers. Just like they did with Nick Heidfeld and Hulkenberg. (I have nothing against those two drivers.) They have to prove themselves before I get on the hype train. Max Verstappen is the prime example of this. 4) Manor Racing will not be around next year and I find that sad. This sport needs a plucky little team fighting in at the back. We are looking at a 20-car grid next year. While this isn’t, terrible I would love to see 24 to 26. Hell, enough to mandate pre-qualifying. 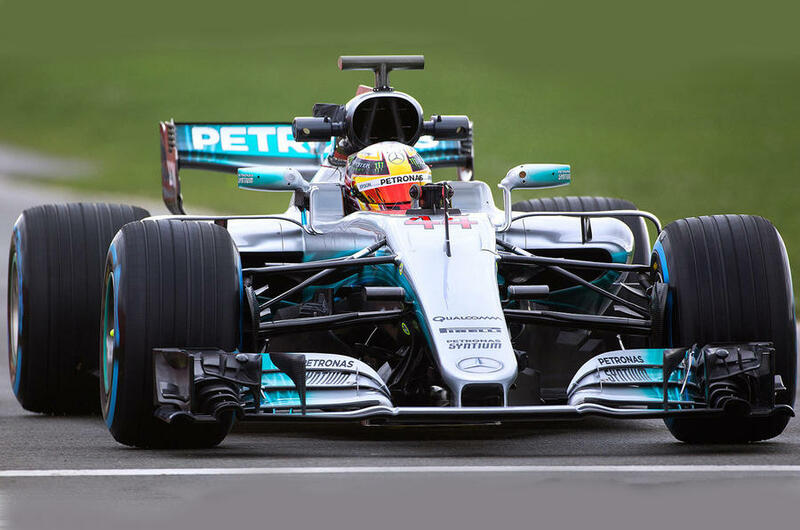 Mercedes unveiled the W08 at Silverstone this past week. In my opinion their new car looks great. My final tidbit is this. No one likes the V6 hybrids and everyone has made that incredibly clear. It has driven teams and manufactures out of the sport. I simply do not like the fact we have four engine suppliers for 20 cars. What needs to happen is the teams are given 100 kgs of fuel per race and sent on their merry way. It doesn’t matter of it’s an overworked 4 cylinder or a singing V12 or even has hybrid power. 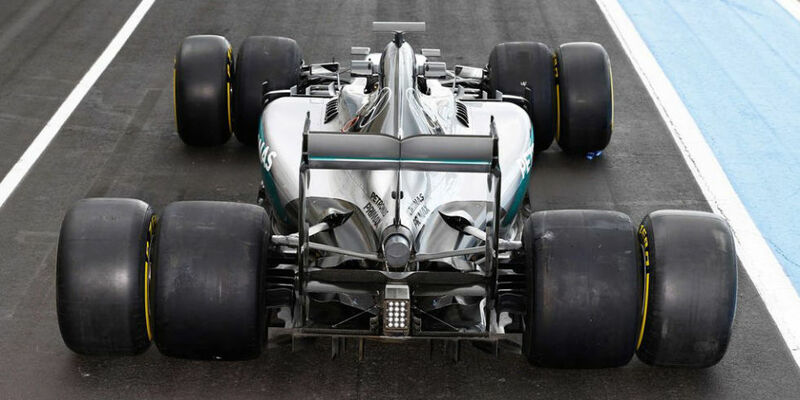 The "trickle down to road cars" F1 is looking for will actually happen. Case in point, the WEC. Oh, and aero needs to be weaker. Give us your opinion and/or let me know how wrong I am. All photos courtesy of motorsport.com, wtf1.co.uk, and autocar.com.